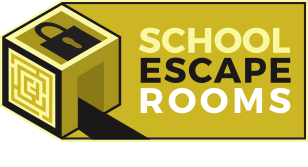 When your school makes a booking with School Escape Rooms you will need to choose which Subject your Classroom Escape is based on. Although the main focus will be on this subject our sessions are fantastic opportunities to offer cross curricular links between subjects such as Maths, Science, and History. How We Organise our Secondary School Classroom Escapes. We recommend that for each class of 30 students taking part in a Classroom Escape that one instructor is booked. This allows each class to be supported throughout their Classroom Escape and to get the most from the experience. We typically run our Escape days based around each Secondary Schools normal timetable. This is typically based on 50-60 min sessions. To be able to run back to back sessions for Secondary Schools our instructors will reset the previous sessions boxes in the following session. They will do this once the current group are up and running. They will still be overseeing the full session and giving help when required. If your school is looking for a day of activities then we also run range of school team building activities through our sister company The Problem Solving Company. If you are looking for a full escape room experience we have a new Mobile Escape Room which is perfect for that spacial experience in schools. If you are wishing to incorporate a bespoke timetable into your day the please do contact us. To run our Classroom Escapes we need a hall or vacant classroom. If using a classroom tables and chairs are fine left as they are.